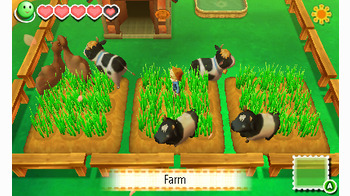 Naming copyrights aside, Story of Seasons is for all intents and purposes a Harvest Moon game. 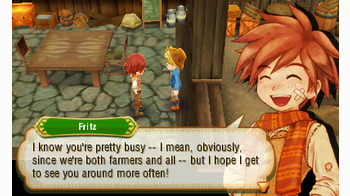 Fans of the franchise will be right at home in the next entry of the farming extravaganza. 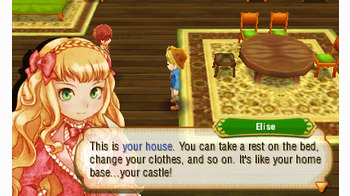 However, the question must be asked, does Story of Seasons have what it takes to move the franchise forward in a bold new direction or does it tread boring and old waters? You play as a male or female character looking for something interesting in the world. As if it was a stroke of luck, a small town far off is looking for a farmer to tend to town’s livelihood. As you answer this calling you’ll spend season by season growing your relationship with the townsfolk as well as maintaining your farm. The premise is extremely simple and rightfully so. The game doesn’t want to over complicate the fact that you’re trying to make your farm the best farm in the town; and you will have the opportunity to prove this many times. The game is broken down into four seasons spanning the days that make up a typical month. Throughout the season you’ll have to focus on expanding your farm and earning money as you start with very little. The beginning is the most important part of the game as it sets the tone for what you’ll be doing later on. Regardless of how you approach your day to day activities, you’ll still have a couple of chores to do before you rake in the money. Your farm is littered with trees and boulders leaving you with very little room to cultivate crops on your own land so much of the early portion of the game will be spent on using your tools to clear out your land of all obstruction. This can be a drag as your days may feel short and there isn’t too much to do otherwise. Things can also get a bit overwhelming as you’re acclimating to the town’s residents and their schedules. Settling in is tough but once you start adding tasks on your list of to-dos everyday it can get quickly out of control. Water the crops, talk to the townsfolk, scour the forest for goodies, go fishing, go swimming, raise the animals, till the land. There are a ton of things to do and while you can do much in a single day, not everything can be done everyday and you should prioritize what is important and what isn’t. Ultimately what’s going to dictate what you’re able to do is your stamina meter. Every tool and item you use will drain your stamina. Once your entire stamina is drained then you will collapse and your health will suffer. If you’re not at optimum health then your tools take more stamina. It’s an interesting resource to manage, however, nothing new that fans haven’t seen before. Much of the game isn’t open to you all at once. As time passes and seasons go by, new people will start inhabiting the town, new areas will open, and new gameplay mechanics will become available. 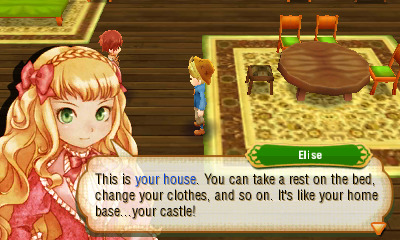 One of the additions to Story of Seasons is the ability to rent new land scattered around for your own personal use. Each area will help you grow better crops of a certain type and it’s an interesting way to mix up your day to day cropping duties. 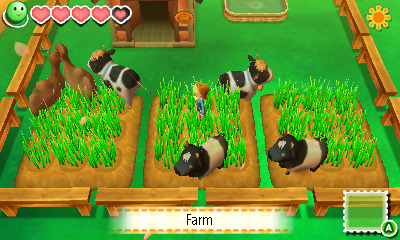 Additionally you can contest certain areas with other farmer residents in the town. While it’s a gameplay system, there’s a sense of competition and camaraderie when you’re competing against your fellow farmers for something that can help make your farm the best in town. Different season means different crops are also available to you. It’s nice to get an assortment of crops that you can raise but this means that you also have to play your seasons accordingly. You don’t want to grow something that might bleed into the next season as you’re risking withered goods. Additionally, you want to make sure you’re not growing too many crops especially if you’re thinking about raising numerous animals. Speaking of animals, there are many to raise and they all yield different materials. Sheep, cows, chicken, llama are going to be your staple but a good assortment of animals on your farm means you will yield a balanced income. The reason for this is due to the game’s moneymaking gameplay system. Rather than have a traditional shipping box to stuff your goods with to earn money, there is a trading plaza in town. At first there will only be a single trader that occupies the trading plaza but as time goes on more will visit. The traders will accept your goods and depending on the week you may earn more money as that particular requests a certain type of goods. Hoarding your products may be good but at the same time you might have a lull where you’re not making money. Management is the name of the game and everything you do requires some sort of planning. Sure you can easily get by without managing what’s going on at what time but that means you’re also not maximizing either. If you’re looking to be the best farmer then you’re going to want to learn how to manage and structure your life. 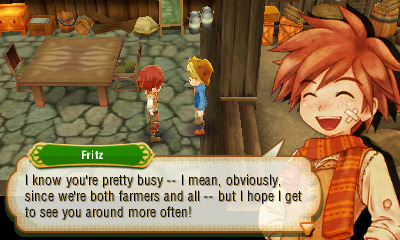 Story of Seasons is a good game. There’s a ton to do and while it can get repetitive when you a good handle on the game’s offerings, it still is fun to watch your town grow alongside your farm. The game doesn’t try anything new that revolutionizes the series but it’s a great step towards excellence. 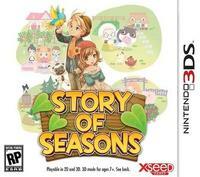 If you’re looking for a fun farming game to play here and there then Story of Seasons will be a good pickup.